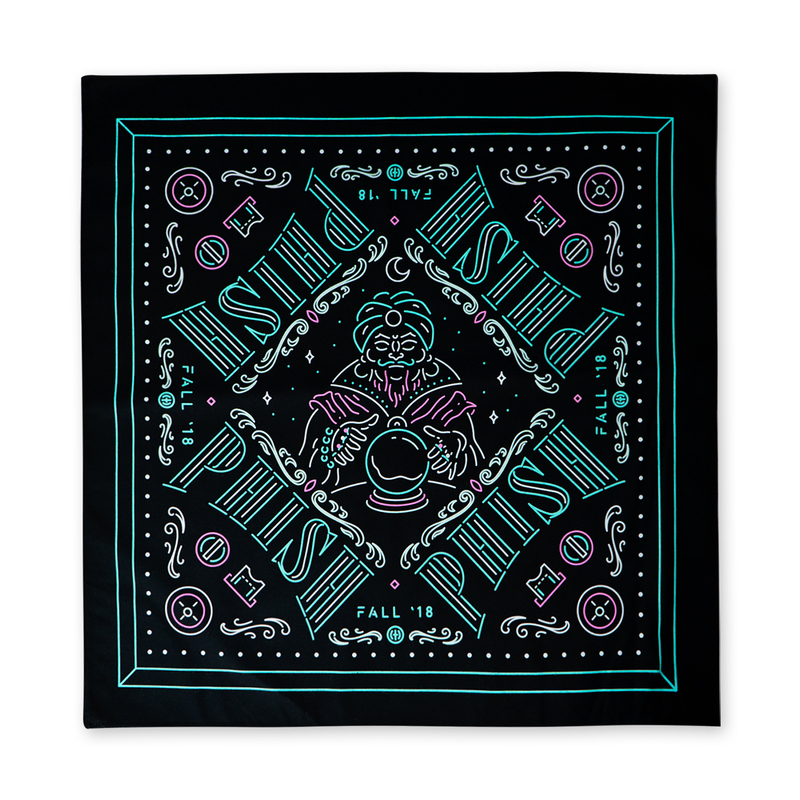 USA Made cotton bandana featuring the Fortune Teller Fall Tour design printed all over. Cover your mouth/nose in style as you plow down the mountain or hike in the West. 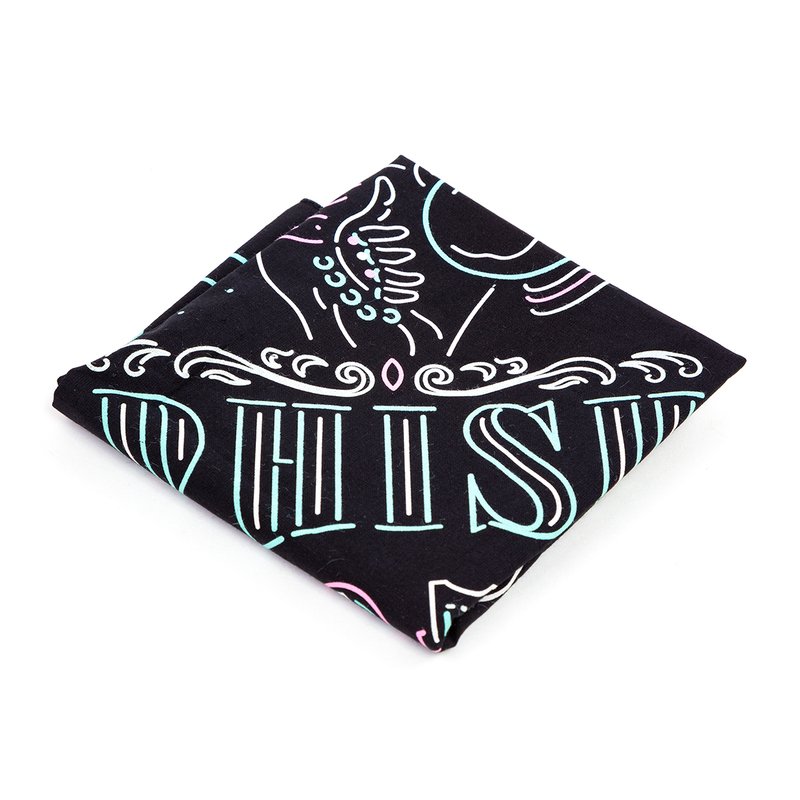 Stuff it in your pocket and use it as a handkerchief. 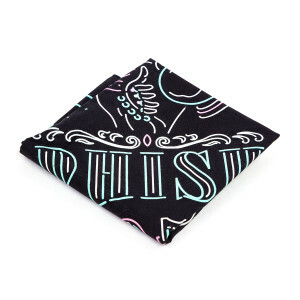 i love the colors and design of this bandana! 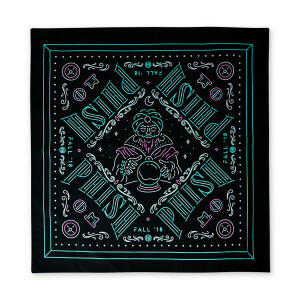 i wear it folded up and tied around my head like a headband, and if i fold it just right it says PHISH across my noggin! but any way i fold it, the design looks beautiful. the material is also quality cotton.